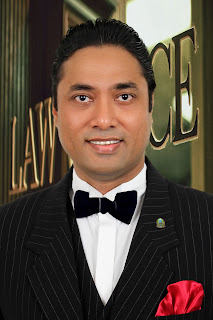 Barrister M. Rafiqul Islam Chowdhury is the First Licensed Registrar in Bangladesh under The Special Marriage Act, 1872 to registrar special marriages between Bangladeshi and Foreigners and also between Foreigners. Bangladesh Government has made provision of registration of Marriage between Bangladeshi and Foreigner under The Special Marriage Act, 1872 which came into force on April-2012. Therefore, from 18/04/2012 “Certificate of Marriage” of Bangladeshi and Foreigner received or issued from City Corporation or simply affidavit executed before the Notary Public or Magistrate Court shall have no legal effect according to The Special Marriage Act, 1872 and shall not be considered by Foreign Embassies/Consulates/High Commissions in Bangladesh and even by Foreign Immigration Departments abroad such as USCIS, UKBA etc. Special Marriages Bridegroom-Bride are advised to contact our office directly to Register their marriage. Any unauthorized use or reproduction of above mentioned contents for commercial purposes is strictly prohibited and constitutes copyright infringement liable to legal action.